Dr Mehdi Bakhshaee was born in Birjand, eastern Iran. He completed his primary and secondary education in his hometown as a top student. Dr Bakhshaee entered Mashhad University of Medical Sciences the same year to study Medicine and graduated from that university in 1997. He later continued his education by completing a residency in Ear, Nose, and Throat (ENT), Head & Neck Surgery and received his degree in 2004. In 2009, Dr Bakhshaee passed the first specialized fellowship in rhinology (endoscopic nose, sinus and skull base surgery & rhinoplasty) held in Iran at Tehran University of Medical Sciences. 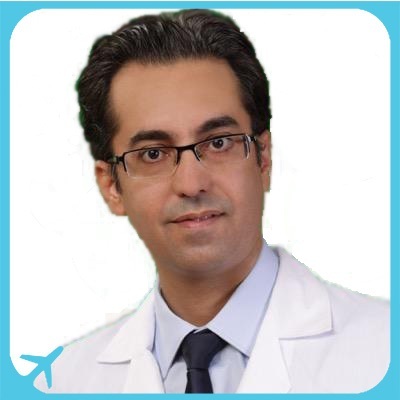 Currently, Dr Bakhshaee is Associate Professor of ENT at Mashhad University of Medical Sciences. He also sees patients at his private office in the city. Fellowship in Rhinology (endoscopic nose, sinus and skull base surgery & rhinoplasty), 2009; the first to be qualified for this course in Iran.